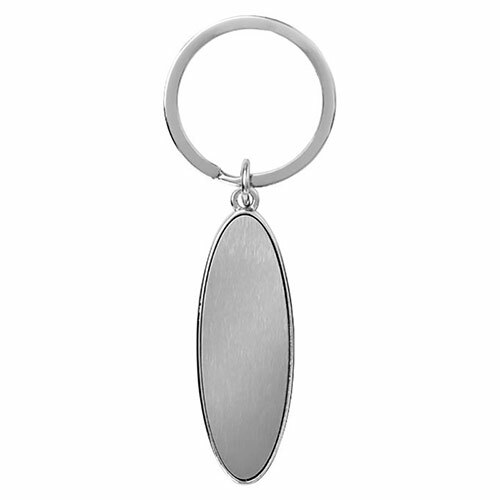 A handy keyfob with bag hanger function, to keep a bag or handbag clean and safe. 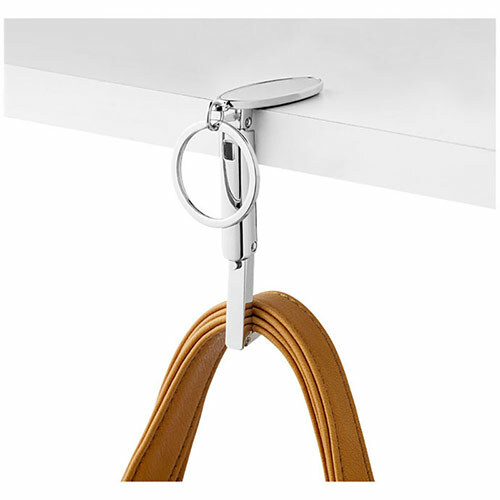 Made in metal with a silver colour finish, and in an oval design, the hinged hanger can hold up to 2.5kg in weight. 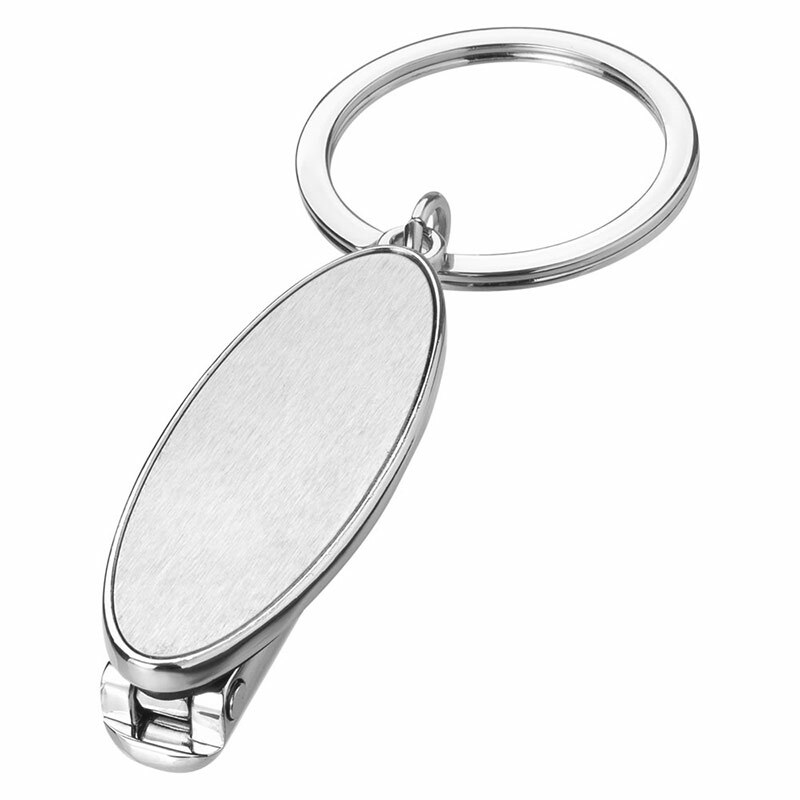 They are ideal branded as corporate gifts or promotional merchandise, and are offered here with text and/or logo engraving options. Product size: 5.9cm x 1.2cm x 2cm. Weight: 38g.